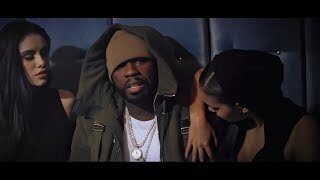 50 Cent has released the official music video for his new single ‘Still Think I’m Nothing’ alongside Jeremih. Following the song’s widely-popular response, the New York rapper has released dramatic cinematic visuals that feel similar to his hit TV show ‘Power’. The Eif Riviera-directed video sees 50 play a gangster, in a rags-to-riches tale that unfortunately doesn’t include the song’s collaborator Jeremih. It’s currently unknown where the single will end up however 50 Cent reportedly has two projects on the way. His long-awaited ‘Street King Immortal’ album and his ‘KANAN: Reloaded’ mixtape. Meanwhile, 50 Cent is also appearing on his BET show ’50 Central’, as well as working on season 5 of Power and new movie ‘Den Of Thieves’.